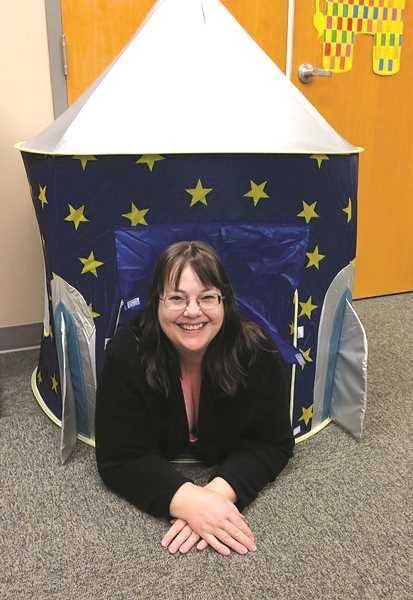 "Libraries are more than just books," said Diana Hadley, director of the Molalla Public Library. "Seriously, people are like, 'I just don't have time to read.' Well, here's the thing, we're more than just books." This summer, Molalla Public Library has held many events, of which, Reptile Man and slime-themed were the favorites, according to Hadley. 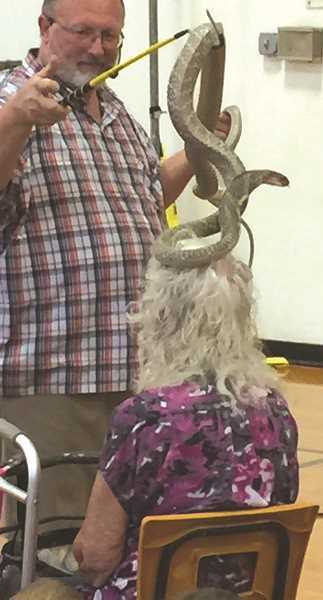 The Reptile Man brought a crowd of 750 people. Now, to finish off the summer, they have a few more events in store. Next up is Loteria, Mexican Bingo, on Friday, Aug. 24 at 1 p.m. where there will be prizes for all. Then, Daniela Mahoney will lead a wheat weaving workshop on Saturday, Aug. 25 at 2 p.m. All of the events are free to the community. All of this is made possible because of a great staff, Hadley said. "I can just wax poetic about my staff because I think that they're amazing," Hadley said. "I really do. I think that they do such an awesome job, and they work so incredibly hard. They've been bringing a lot of great things to the community this year." The staff includes Beka Murcray, the children's librarian and social media guru; Devon Seale, in charge of teen and adult programming; Irene Camacho, who leads all Hispanic programming; and Michelle Satyna, who purchases children's and young adult materials. The leader of the staff and library director, Hadley, has worked in libraries for 40 years and holds a Bachelor's degree in Education and Educational Media and a Master's degree in Library Science. She has been at the Molalla Public Library for more than four years. Coming from Douglas County, which closed their library system last year, Hadley has enjoyed working in the better-funded Clackamas County. Clackamas County libraries are funded through the Library District of Clackamas County, known also as Libraries in Clackamas County or LINCC. The funding was approved by voters in November 2008. This funding allows the library to offer events and resources for free. "There's always the question of, is there a charge? No, we don't charge," Hadley said. "We want you to just come and enjoy. That's why we're here. We're a community organization and we want to bring things that the community enjoys and wants to do—not only for entertainment, but for education too." The library's "community" encompasses nearly 25,000 people in Molalla, Mulino, Colton and more. With summer coming to a close and a new school year approaching, Hadley doesn't want the community to forget about all of the offerings the library provides, which don't all require walking through the doors. For research, reports and personal interest, there are several databases available online at lincc.org under "online resources." A few of the resources, among many, include The Oregonian from 1987 to present, the Chilton Library (auto repair manuals), Consumer Reports, Pronunciator (a language learning software) and World Book. "We also have downloadable audio, we have downloadable e-books that you can read on your phone or your tablet or your computer," Hadley said. "In the library itself, we have music, we have DVDs, we have audio books, and people love audio books when they're traveling. I mean, I'm one of those people. When I'm traveling, I grab a handful. I love them. So we're more than just books." For more information, visit the Molalla Public Library, which is open seven days a week, at 201 E. 5th St; or visit them online at cityofmolalla.com/library.